The Freedom Online Coalition is made up of members from Africa, Europe, Asia, North America and the Caribbean. The coalition was formed after the first Freedom Online Conference at the Hague in December 2011. 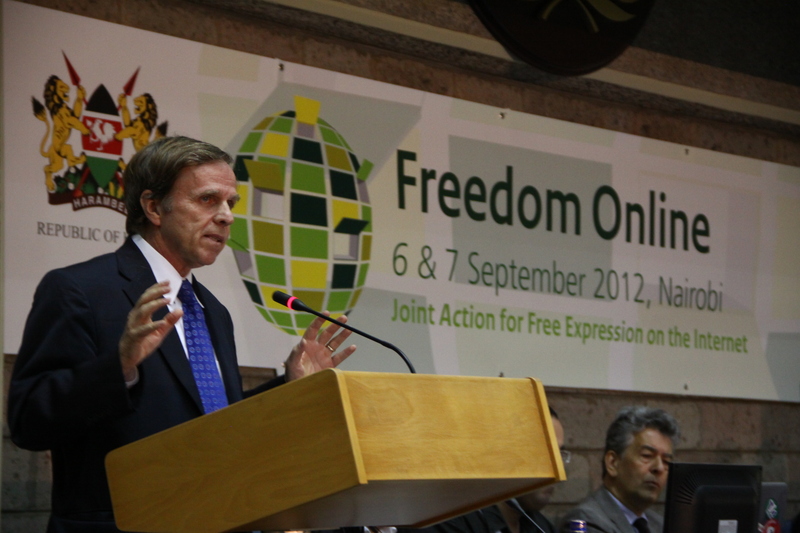 Member countries collaborate to further freedom of expression online. This includes creating a framework which holds internet users responsible for their online interactions. The second conference was held in Nairobi between the 6th and 7th September. Discussions were held between different stakeholders including the government, civil society organizations, representatives from the ICT industry and bloggers. The voice of Africa has largely been absent from the discussion on freedom of expression online. This is mainly because not many Africans have access to the internet in the first place. It is to be noted that the African countries which are involved in this discussion have only recently become aware of the potential presented by online platforms. Mr Berger from UNESCO stated that the organization was committed to promoting online freedom of expression as a global responsibility. The message was reiterated throughout the conference with delegates affirming that unrestricted internet access is part of the citizen’s rights. There was also a call to protect cyber-activist from repressive governments. This included recommendations to increase online privacy and set measures to allow for anonymity. According to delegates, governments are under-performing in the area of online privacy. Countries should be accountable for the potential harm on an open internet. Emphasis was placed on corporate responsibility for the an open internet. This was as a result of the observation that we can’t always rely on the government to protect our rights as they are part of the problem. It is to be noted that there are ways of reconciling without necessarily shutting down whole online platforms. As expressed by delegates, misuse of online platforms is not the result of access to the internet, rather it is caused by underlying personal problems. The right to access of the internet is constantly under debate. This has prompted some states to create nationwide firewalls to isolate their citizens from the global internet. Concern was also raised on the WCIT (World Conference on Internet Telecommunications) agenda, where a proposal is to be made allowing governments to curb information that is deemed as ‘sensitive’. The next conference will be hosted in Tunisia notable for having abolished the Ammar 404, a law which allowed the government to censor online communication.